Edge Testing Solutions, part of Eurofins Digital Testing, has expanded its testing tools suite with the addition of test automation framework TestWizard. A comprehensive set of tools for the automated testing of software applications, TestWizard is the first product from its parent company, Eurofins, that Edge Testing has introduced to its client base. 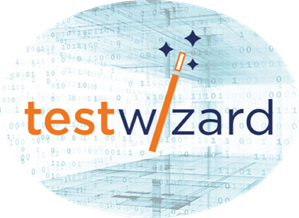 Using TestWizard, Edge Testing can reduce time spent on repetitive testing tasks, while guaranteeing test coverage and consistency. Edge Testing clients can take advantage of TestWizard’s easy to use test creation and debug environments, and secure, cloud-based test manager support. TestWizard architecture enables automated open testing of full end-to-end user scenarios involving multiple device types such as web applications, mobile devices and web services. The TestWizard tool can be implemented from both onsite and remotely from Edge Testing’s Glasgow and Birmingham Digital Test Hubs. The first of which was launched in Scotland in 2013, with the second opening last year in the Midlands. The company’s road map for 2019 also includes a third Digital Test Hub based in the North of England to offer clients UK-wide an easily accessible remote testing service for their in-house applications and back office systems.